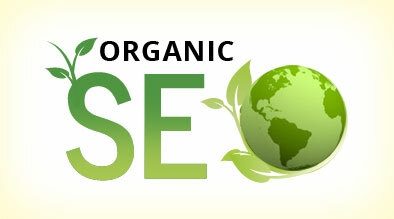 Social media profiles can be used to increase search engine rankings. Heather Lutze explains in her web 2.0 session on how to optimize social media profiles by utilizing right keywords. Here are few strategies that can help social media profiles get more visibility in SERP”S and better conversion. 2.) Build your Longtail Keywords first – Web surfers prefer searching long tail keyword phrases because these keyword phrases tends to convert better since the are closer to the end of the buying cycle. Best approach would be to choose a few long tail keyword phrases and work on the more general keywords at the same time. This strategy will keep you ahead of the curve. 3.) Go after plurals and misspellings. Google External keyword tool lets your search for pluras and misspellings and gives you approximate search volume. It is crucial to own all the spots to help build reputation of the your brand. 4.) Edit your Social Media Profile with the right keywords. Edit and update your social media profile with keyword phrases. Here are few things can be done to update these profiles. Youtube -. The spot under profile picture can take lot of keywords. Start with long tail keywords, and go backwards to effectively updating the profile. Linkedin: Put in keywords after last name. 5.) Track the results in search results. 6.) Video testimonials:– Get video testimonials from your clients and post them on your website. Worst Quality is most credible. Keep the videos real. 7.) Set up a social media schedule for yourself. Update your profiles and blog once/twice a week. The more consistent these patterns are implemented on own website, blog and social media profiles like Facebook, LinkedIn and Twitter etc, the more you can saturate universal listings and can be on the first page of search engines.